Walk In The Park: Guide both dog and owner, collect dog treats and power ups and find the exit. Jump on platforms and grab dog treats while dragging your handicap owner around. To jump simply press the Arrow up key. Use the left and right arrows to walk. Press R to restart the level. If you want to play A Walk In The Park games online you have come to the right place! GamesLoon adds new A Walk In The Park games every week. 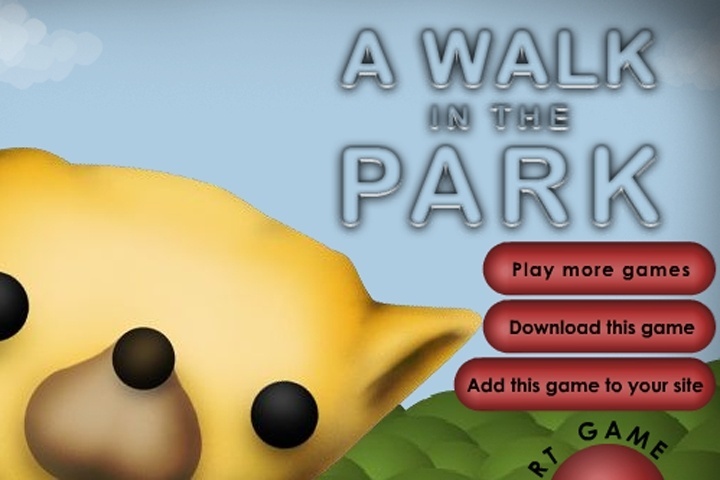 This is your game portal where you can find the biggest collection of free A Walk In The Park games online. Do not forget to rate our A Walk In The Park free online games while playing!